So a small little package arrived in the mail today. And in it was a whole lot of awesome! 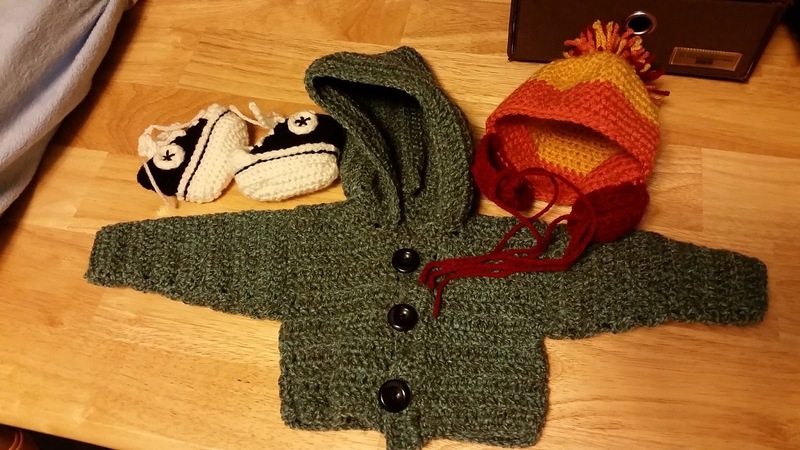 My friend Kati made the most adorable things for the little one arriving soon. Tiny Chuck Taylor All-Stars (that have freaking laces and tongues!). An adorable button hoodie. And he's going to be born in the winter so this is definitely going to get some use to keep him warm. Adorable! And a Jayne hat, which is a pretty iconic hat that one of the Firefly characters (Jayne) wears. I cant even. I'm so excited to put these on the little one when he is born. These are A-M-A-Z-I-N-G.